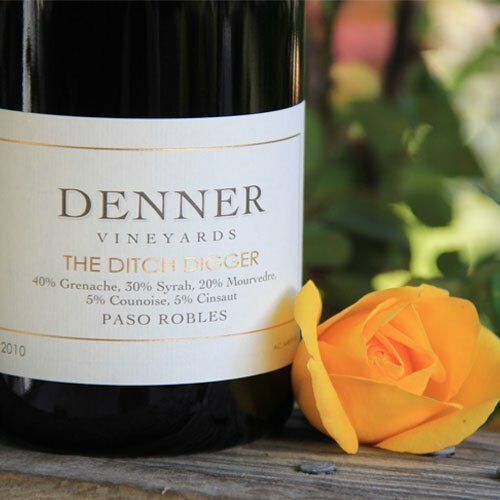 A Rhone-style Red Wine Blend, Denner Ditch Digger combines Black currant, warm chocolate and sultry spices. 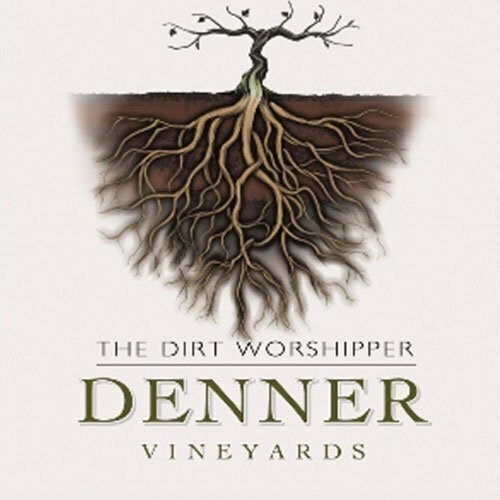 This Denner Vineyards Wine Blend is Highly fragrant with aromas of fresh red and blue fruits, spicecake and candied rose, joined in the glass by a building smoky element. Silky and seamless in texture, offering impressively concentrated and surprisingly lively black raspberry and boysenberry flavors that are given spine by a core of juicy acidity. Closes sweet, gently tannic and very long, featuring emphatic red fruit and lingering floral pastille notes. A blend of 55% Grenache, 20% Mourvèdre, 10% Syrah, 5% Counoise, 5% Cinsaut, and 5% Tannat. A small estate winery, Denner Vineyards is located on the Westside of Paso Robles, California. 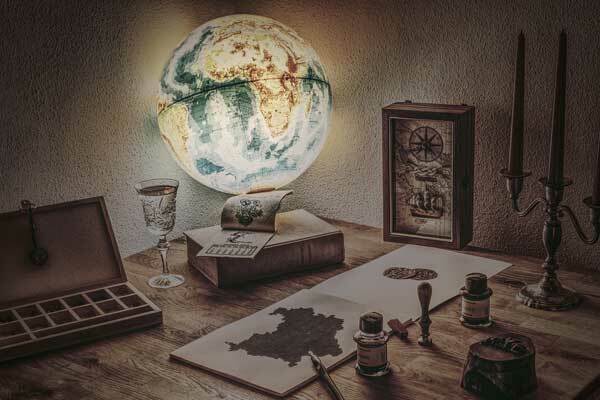 The vineyard site offers a unique terroir of hot days, cool nights and rocky soils allowing Denner Vineyards to grow exceptional Rhone and Bordeaux wines. Special tasting rooms were designed to showcase the stunning views the property has to offer. 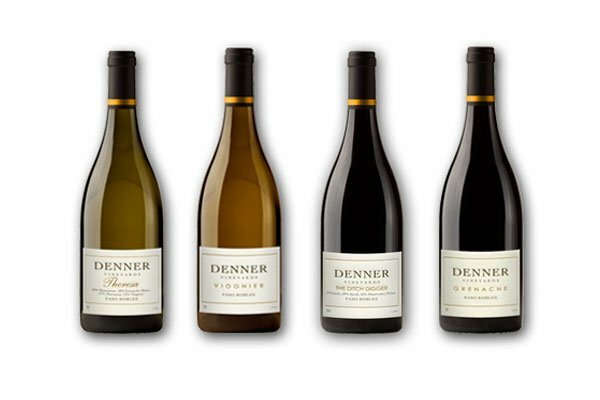 If you are interested in visiting Denner Vineyards in Paso Robles California, they are open by appointment 10am – 4pm daily. On Saturdays, the Denner Vineyards is open in both tasting rooms – the Comus Vista (patio) for club members and the Comus Crush (in the winery) for non-club members. Requests with less than 48 hours advance notice or for groups with 8 or more guests please call us at 805-239-4287. After traveling the state for years searching for the perfect piece of dirt to grow grapes that would produce highly-acclaimed wines, Ron Denner finally found exactly what he was looking for in the far western reaches of Paso Robles in 1997. He began planting the first few acres in 1999, which has now grown to a total of 130-acres, consisting of 20 different grape varieties and counting. Denner designed the estate winery to fit into the rolling hills of the surrounding vineyard — allowing us to exercise only the gentlest touch on the incoming grapes. Through our gravity flow process, we can showcase exactly what the vineyard and the vintage give us and produce wines that are both powerful and finessed. Our 156 acres press up against the Santa Lucia Range, giving the site great diversity of elevation, aspect and soil. Previously dry farmed barley, the estate is nestled into the Templeton Gap, an East/West corridor where the marine layer can reach the inland valleys. As a result we receive large diurnal temperature swings without high moisture pressure, giving us a near perfect growing climate. The original 96-acres were designed and planted by John Crossland of Beckstoffer fame. Later, Justin Smith of Saxum came on to consult with Aron Nevarez, our Vineyard Manager. Since 2005, Aron has had complete control of all vineyard operations, including the designing and planting of the 12 acres surrounding the winery. He is committed to environmentally friendly farming practices, using only sustainable inputs and minimal irrigation. The belief that timliness is the key to sustainable farming allows him to proactively approach any issue before it would require chemical intervention. Aron’s hands-on approach and years of experience with the vineyard allow him to produce the quality fruit Denner is known for harvest after harvest. In 2008, working with a local company, REC Solar, we installed a 140,000 DC watt ground mounted solar project. 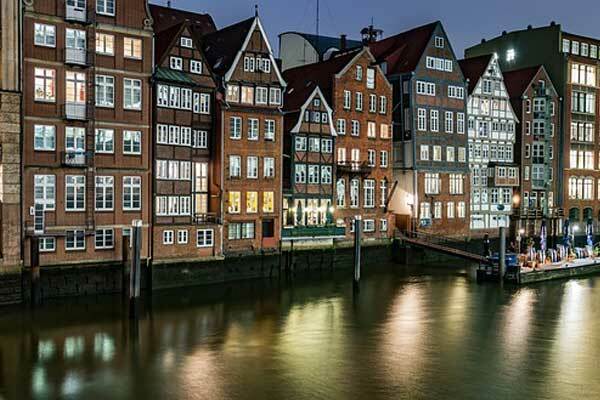 The system handles all of the electrical energy needs of the winery and most of the Comus Club Center, thereby greatly reducing the buildings’ carbon footprint. In 2008 we also expanded our wetlands to include a system for filtering the water used in production to be distributed throughout the vineyard.